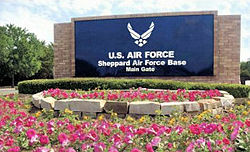 Sheppard Air Force Base says a training exercise turned “real world” after they received calls from people on base. Officials had scheduled an active shooter training event which was set to take place across Sheppard on Thursday morning from 8-11am. More details about what happened can be found here.